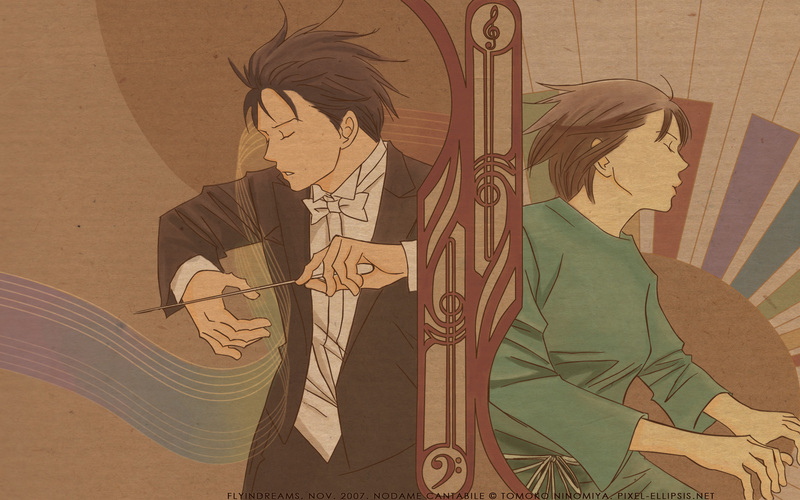 I LOVE NODAME CANTABILE ; D; 'nuff said! 82. Can You Hear Me? For the 100 Themes Project @ Instant Noodles. moves together and works great. I knew this was yours! Love the colors and the vectoring is super-neat as usual! I love how the music is weaving through Nodame. Great job! Ah! Great wallie! I like the colors and vector is really well done, sweetie! A very neat vector, you did a great job on the composition of this wallpaper and at redrawing her hand. I love the soft colours and also think that the frame looks like a cleft, which is a nice detail. Only minor ( really absolutely minor) thing is that I wish that dark spot from the texture wouldn't be right on Megumi's face. YES! I thought it might be a Nodame Cantabile wall, and I'M RIGHT! *ahem* Sory for being so over excited but when it comes to Nodame Cantabile, I just can't help myself. Chiaki~! I like this. Earth tones turn out great if you know how to do it, and you just pulled that off flyin! ^^ I'd like to see more Nodame walls. >.< This one is great. nice composition, and the tone of colors....suitable for the music theme. por donde los mire, son adorables! i love nodame! thx for sharing! wow. i love the color pallete. nice job. thanks for the share.